FESCO Transportation Group offices in Moscow and Vladivostok as well as the Vladivostok Sea Commercial Port (VSCP) were searched on March 30 and 31 as part of the investigation proceedings against Ziavudin Magomedov, owner of Summa Group, the major shareholder of FESCO and VSCP. Both FESCO and the Port confirm business as usual and state that neither the searches were connected directly with their operational activity, nor anyone of the management or staff were detained. In the meantime, all Russian mass media discuss the arrest of Ziavudin Magomedov on Saturday, March 31, and this does not look like an April Fools’ Day joke. 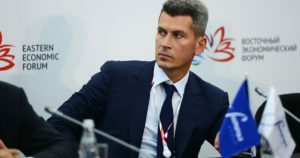 Mr. Magomedov (his fortune is assessed by Forbes at USD 1.4 bln), one of the key players in the Russian transport sector, was interrogated on Friday and arrested on Saturday until May, 30. He is charged with stealing RUR 2.5 bln (USD 43.6 mln) out of the federal and regional budgets and withdrawing the funds to offshore companies. His elder brother Magomed Magomedov is arrested as well. Both brothers own Summa Group, which controls a number of port and logistics assets in Russia, such as United Grain Company (50% – 1 share), FESCO (32.5%) owning Vladivostok Sea Commercial Port, and Novorossiysk Commercial Sea Port (25%). The Group even had plans to build a crude oil loading terminal in the port of Rotterdam. In 2010, the Port of Rotterdam Authority awarded a contract to a Summa subsidiary to construct Tank Terminal Europoort West, a facility with 3 mln cubic metres of storage space intended for transit of Urals crude oil and oil products. The site was already handed over, ready for construction, and all the building and environmental permits were in place, however the discussions on the project’s feasibility that the Russian side initiated in 2015 have ultimately led to a termination of the contract. Considering possible underlying reasons behind this arrest, experts suggest that this may be part of the game preceding the nomination of the new government that would take place after the inauguration of the newly elected Russian president on 7 May 2018. The Magomedov brothers were close to Deputy Prime Minister Arkady Dvorkovich and to Prime Minister Dmitry Medvedev, their main success in business came during the presidency of the latter and now this incident may be used against Dmitry Medvedev. However, the timing also coincides with the coming sale of Summa’s share in Novorossiysk Commercial Sea Port (NCSP). This lucrative asset is not just one port but a group of 10 stevedoring companies including Russia’s two largest ports by cargo turnover — Novorossiysk on the Black Sea, handling oil, grain, containers and Primorsk on the Baltic Sea, handling oil. Today, Summa Group and the state-owned Transneft jointly hold 50.1% of NCSP. The partners have been conflicting over the asset since 2013, until Summa agreed to sell its 25% stake last February, which greatly surprised the market players, as NCSP was Summa’s most profitable asset.